As part of their new strategy for working under a coming Trump presidency, House Republicans used the second day of the 115th Congress to pass a long-sought bill to give lawmakers the power to undo agencies’ late-in-the-term final regulations. The Midnight Rules Relief Act (H.R. 21), introduced by Rep. Darrell Issa, R-Calif., passed in a party-line vote of 238-184. The bill would amend the 1996 Congressional Review Act to allow Congress to nullify—in a single vote—as many as 61 regulations finalized in the last 60 legislative days of an outgoing presidential administration. “It’s designed to stem a growing trend by presidents, of both parties, to use their last few months in office to rush in costly, expensive or controversial new regulations,” Issa said in a Tuesday statement citing support from business groups such as the U.S. Chamber of Commerce and the National Federation of Independent Business. Issa estimated that Congress realistically would package relatively few regulations, perhaps half a dozen, “the worst of the worse,” as he put it. The fact that the Senate often takes 60 hours to work on a single rule under current law is what motivates the House to allow the bunching, he added. 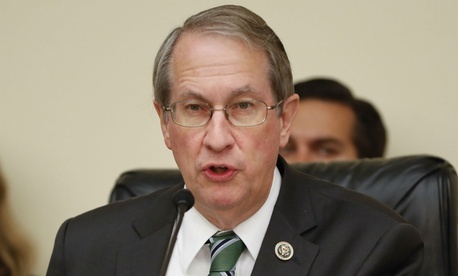 Judiciary Committee Chairman Bob Goodlatte, R-Va., began the hour of floor debate under a closed (no amendments) rule by saying the Obama administration had issued more “hastily cobbled together” rules than “any other administration in recent memory"—226 after a surge in late 2016, he said, 20 of them costing the economy more than $100 million in impact. He complained of “successive waves of midnight rules with no one accountable to the votes whose mandate was just given,” by “bureaucrats who don’t factor in that product manufacturers have to shelf products.” Goodlatte predicted that giving Congress a “sword of Damocles” would cause future agency rule-writers to hesitate. Co-sponsor Rep. Tom Marino, R-Pa., said Obama agencies’ 401 regulations issued in 2016 alone cost the economy $164 billion. Democrats argued that most rules take years to produce. Rep. John Conyers, D-Mich., said the “cynical” plan would “empower our legislature to undo virtually every regulation submitted to Congress” since June 2016 “without considering the merits of each individual regulation.” Backed by consumer groups and some sustainable business organizations, he warned of uncertainty for businesses in areas of “health, safety, the environment and other critical aspects of society.” For Congress to merely consider repealing “two regulations would be very hard to handle,” said Conyers, the Judiciary ranking member. Cohen also defended federal regulatory officials. Judging by Republican rhetoric, “you’d think bureaucrat was something out of a medical dictionary that was contagious,” he said. “But they’re also called experts, specialists and dedicated public officials” who fine-tune complex rules, he said.